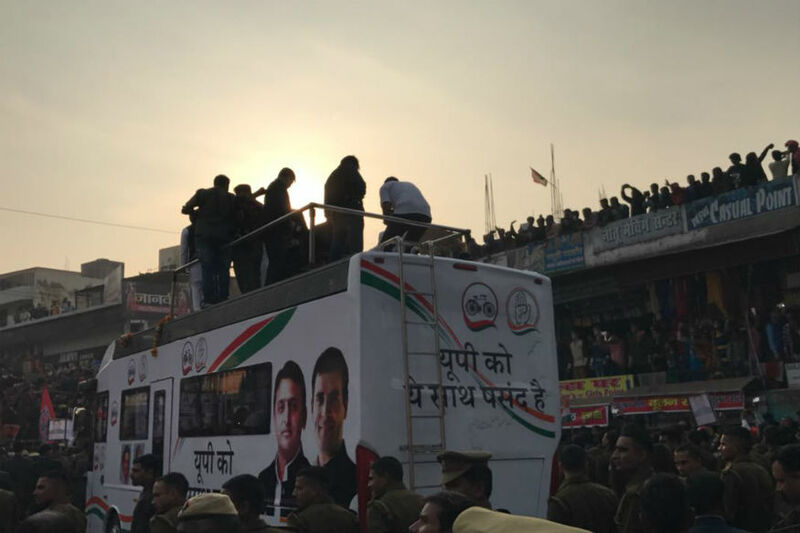 The Samajwadi Party and the Congress are holding a joint roadshow in Agra as part for their campaign for the elections in Uttar Pradesh. 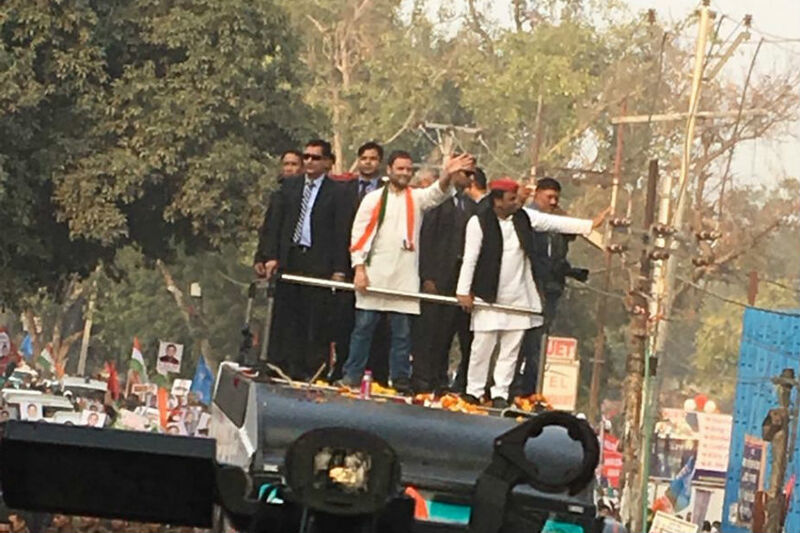 This is their second joint rally of SP chief Akhilesh Yadav and Congress vice-president Rahul Gandhi. 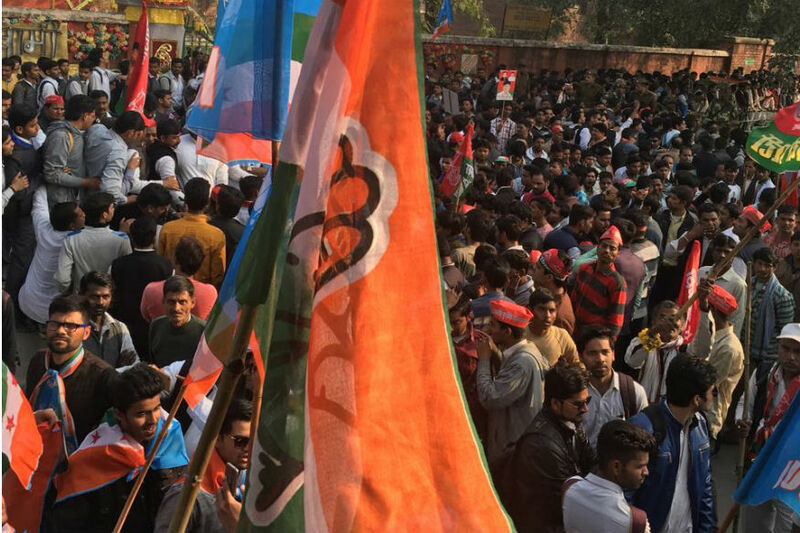 BJP national president Amit Shah abruptly canceled his rally in Meerut after a local youth was murdered. 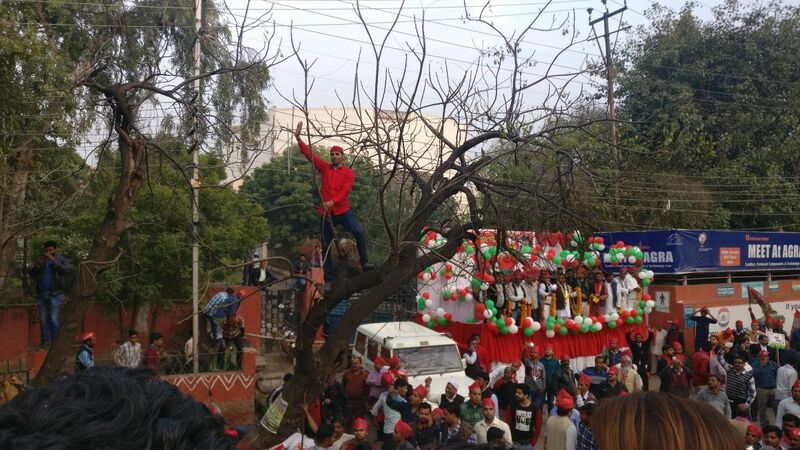 Before cancelling, he said the Samajwadi Party government in the state should be punished in the elections for the deteriorating law and order in the state. 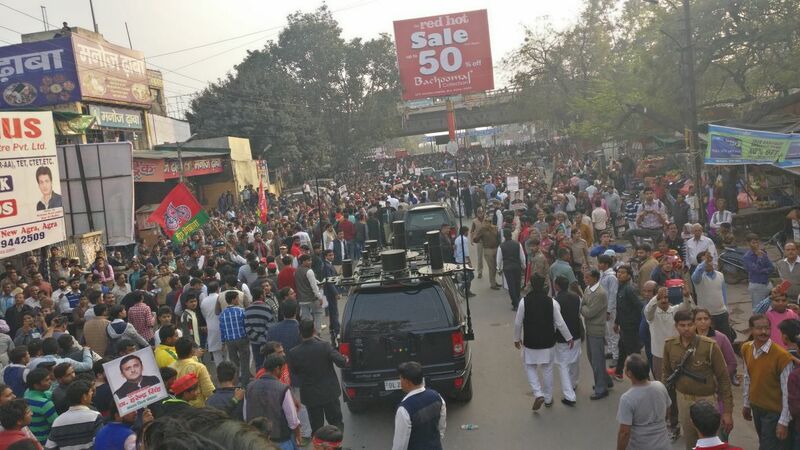 Amit Shah abruptly ends his Meerut padyatra after of killing of a young boy on Thursday in the city. 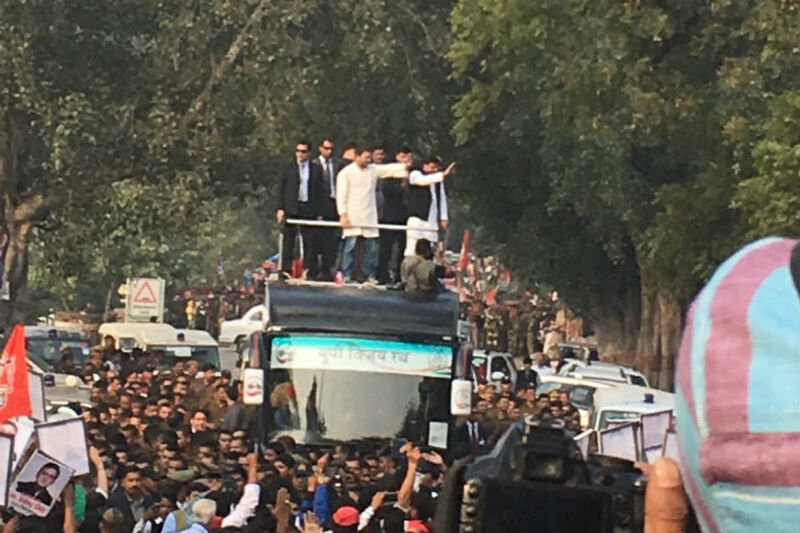 Me and Rahul Gandhi will also be doing a big roadshow. 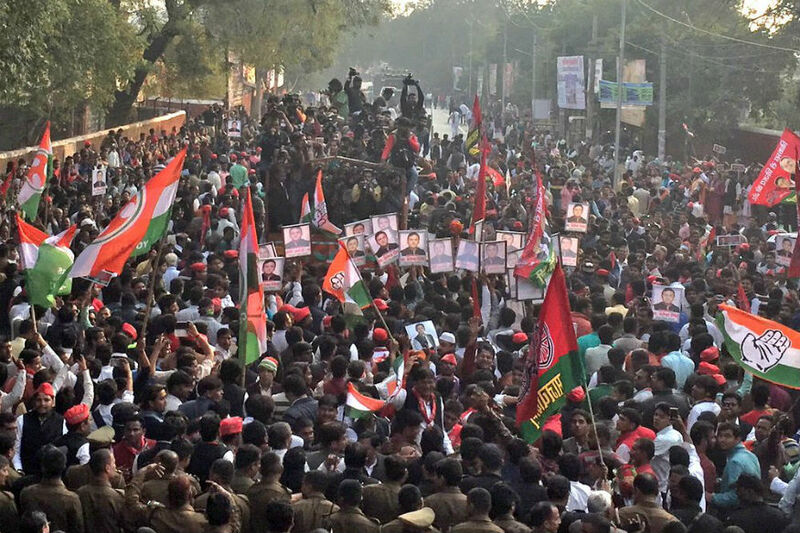 Now the confusion ends after both of the parties have come together: UP CM Akhilesh Yadav speaks in Bah area of Agra. 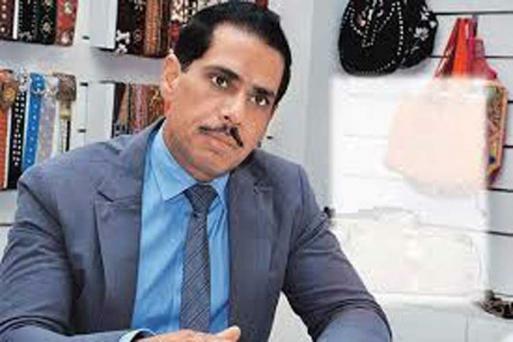 Congress President Sonia Gandhi's son-in-law Robert Vadra on Friday slammed the BJP after party leader Vinay Katiyar was included in its list of star campaigners for Uttar Pradesh. BJP President Amit Shah to hold a foot march in Meerut, along with public meetings at different places. 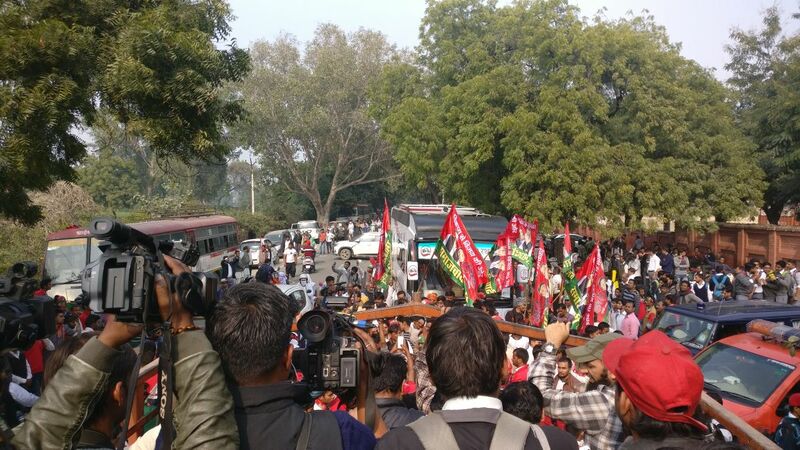 Akhilesh and Rahul had earlier held a joint roadshow in Lucknow on January 29 followed by a joint press conference. 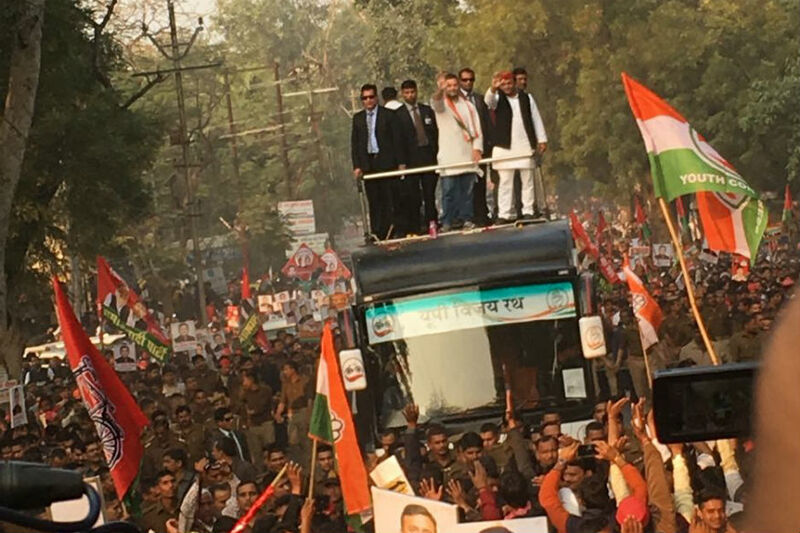 The first phase of the seven phase UP polls will be held on February 11.